First step is to signup on twilio using a valid mobile number - which will get a verification code which is used to verify the mobile number. On clicking the Get Your First Twilio Phone Number, a sample phone number will be provided by twilio which will be used to generate calls (From number). Download the sdk and setup the code to autoload the sdk in the project. Go to Dashboard www.twilio.com/user/account/voice/dashboard click on ‘view API credentials’ to get the id and token. Now go to www.twilio.com/user/account/voice/dev-tools/twiml-apps and create a sample TwiML app. On the voice section provide an accessible url from which twilio will be fetching the from and to numbers for connecting (will explain in detail below). Generate required files for initiating calls. demoCall.php : Display the dial-er page. Key elements required for connection are Account SId, Token (www.twilio.com/user/account/settings) and appId (www.twilio.com/user/account/voice/dev-tools/twiml-apps and select an app to get the app id). Now its ready to be tested. Note that since this is a demo account from and to numbers cannot be changed (From should be the number provided by Twilio during signup and to should be the verified number on the account). Logs will be available over here : www.twilio.com/user/account/log/calls , on clicking the timestamp it will direct to the details of request and response. www.twilio.com/user/account/monitor/alerts, this one provide alerts created during our test failures. Lets start by creating a sample database and a table to have some values which can be used for listing the data. Now we have the database ready to be used, shall start from building the html pages, js and relative php file. In angularjs based applications we use attribute names with ng keyword. As you can see in the html tag we have an attribute ng-app been set to a value 'customMovApp' and this is to initialize the html page with anuglarjs app which we will be defining on the app.js file. Within the body tag we have also initialized to controller to be used for this page with ng-controller attribute. Then we have a content loading div section which uses another view to be included when the index page is loaded. Here, note that the source url used within the ng-include attribute is enclosed within single quotes. 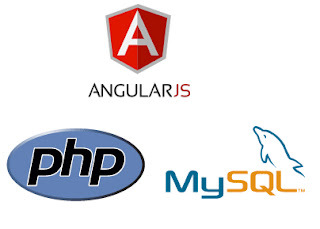 Now we shall define the app.js file which will be having the core of angular js application. Here from the 1st line angular module is been initialized as 'customMovApp' and then with that we have created a new controller named 'movieController' and it has a function 'getMovie' which is in turn defined to call the php file getMovie.php and set the returned json object to 'movies' variable. We already have a database and a table with some sample entries, we have the php script to connect to the database and returns the response as json object. For this we have a sample script which can be used. Now we need a view page to render the response from the controller action of angular module. Here we are using ng-repeat to loop through all the movie records from the response object. This is based on Sugarcrm CE 6.5, and by default the MysqliManager.php doesnt support ssl connection to mysql db's, even if we set the 'ssl' flag on 'dboptions' of config.php file. To make the DBManager work, we need to update the MysqliManager code. Then, update the MysqliManger.php file inside include/database folder. First open the file using 'vim'. Then to copy use "ggVGy" or ":%y a", now the content is in the clipboard. Open a new terminal and open a new file with 'vim' where you are going to paste it. Then use "p" or "P" to put the content in the file from the clipboard. There are actually 3 methods to get profile details of a specific instagram user. call the url with user id and access token. call the url with user id and client id. There are some private profiles which cannot be directly accessed using the above 2 methods, for that you can use the search endpoint with the client id to get the matching results and then get the respective user details. call the url with user name and client id to search the user. How to override an attribute name in yii model ? In model add an override function for checking the errors generated on validation.